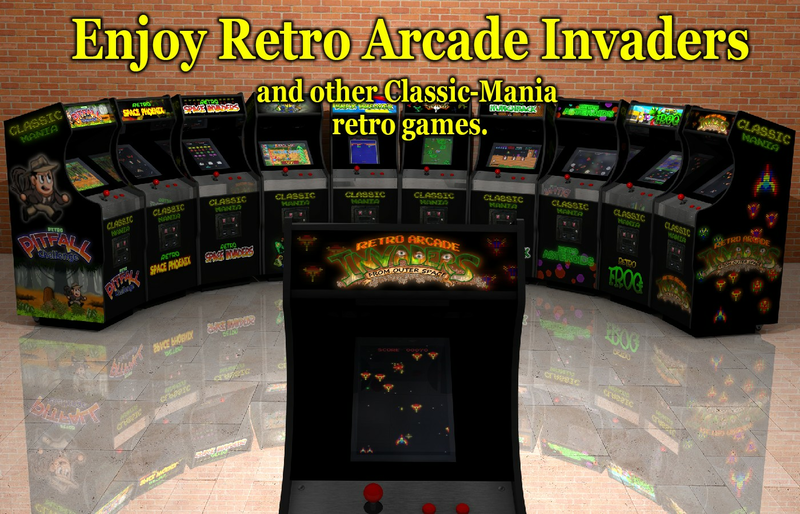 If you enjoy classic games, you will enjoy with Retro Arcade Invaders. 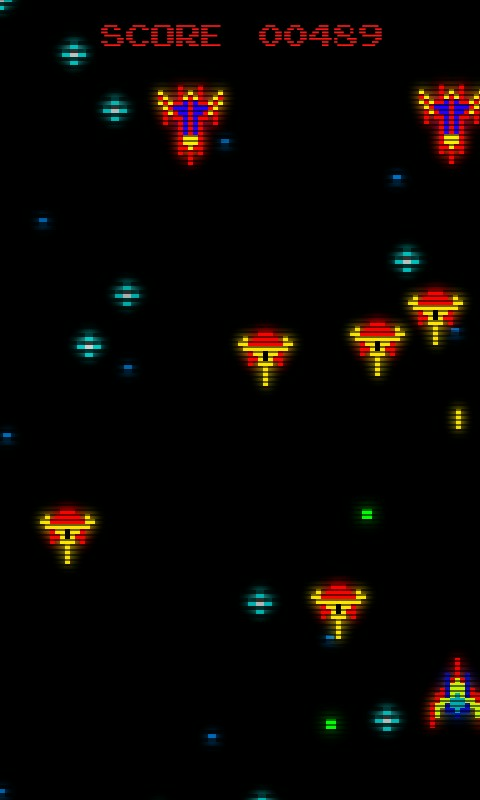 On this free retro game, you must defend each planet from the space invaders. 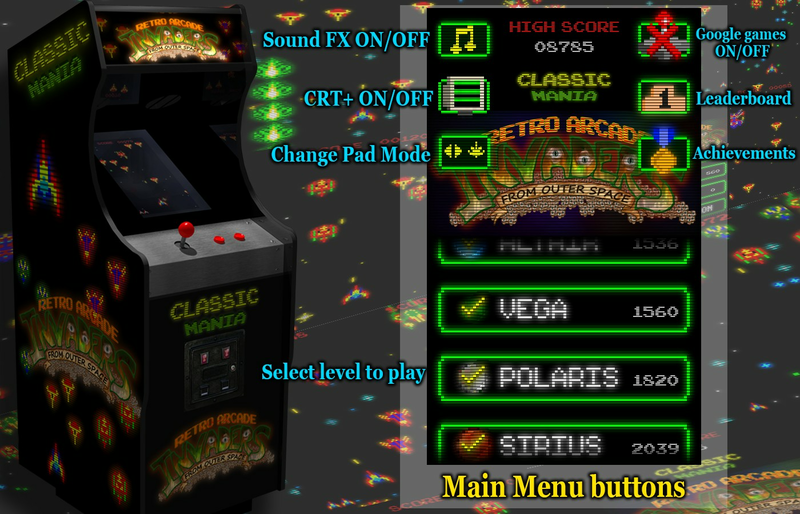 - Classic arcade game with retro design. 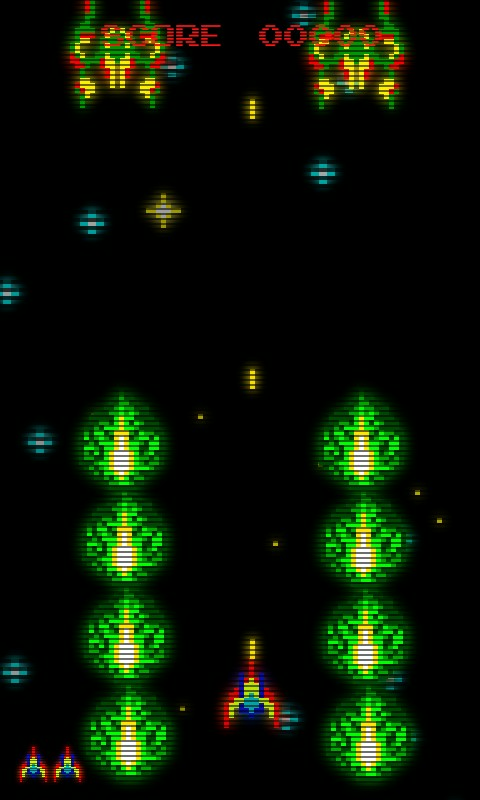 Graphics like a CRT screen. - 6 planets with big bosses. - Touch left or right to move your space ship. 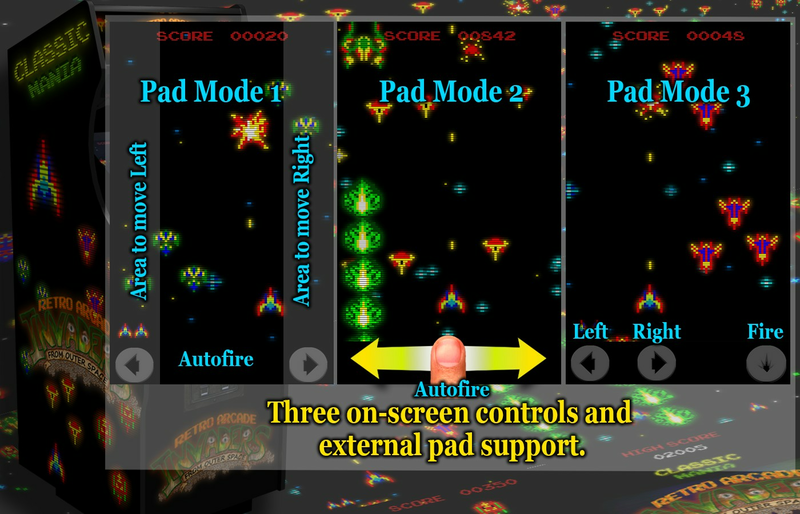 - Two screen pad configurations to control the ship, 1 with autofire and 1 without autofire. With manual fire you can get a slightly higher shoting rate. 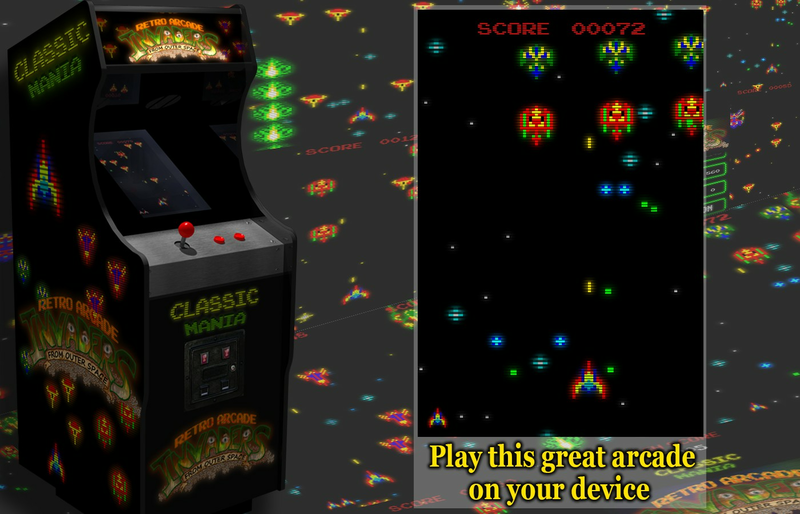 - You must destroy enemies to complete each planet and unlock the following. 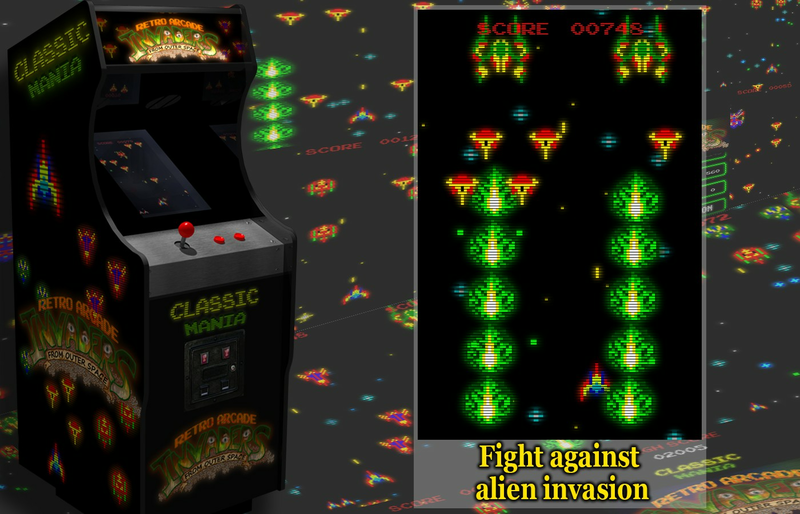 - Destroy the maximum of alien invaders in each planet to increase your total score. 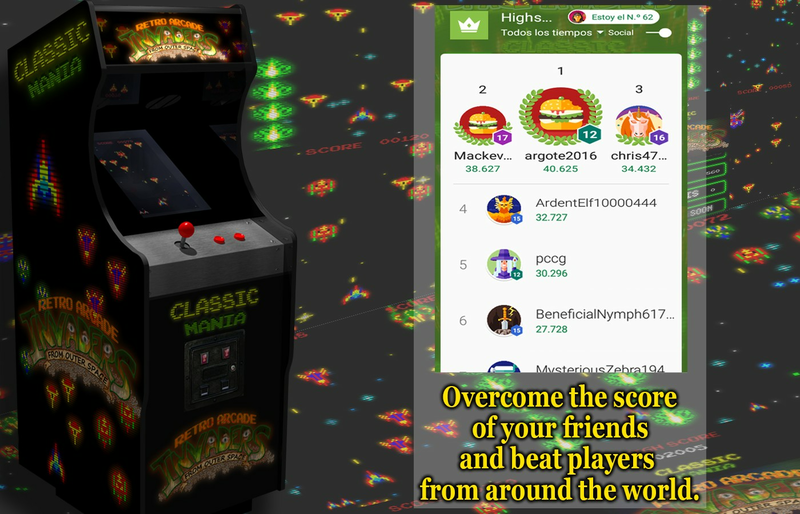 - Optionally you can share your total score and achievements with friends or the rest of the world.